Daiwa Can has started supplying its resealable bottle shaped aluminum can, the New Bottle Can, for wines in Japan - a first-time development for a capped and diminutive bottle can in the world. Wines often contain anti-oxidizing agents that do not mix well with aluminum cans; therefore it has been thought impossible to make aluminum cans to package wine. But Daiwa Can has succeeded in developing specifications especially for wine. For the first time in the world, Daiwa New Bottle Can, filled with wine, has been launched in Japan(see Photo No.1). The company has also developed a matching drinking cup, which can be attached to the canned wine. Consumer convenience is enhanced by this invention, as its portability opens new locales to wine-lovers (see Photo No.2). 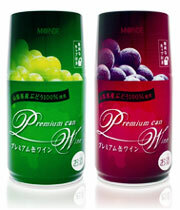 Winemaker, Monde Distilleries, Ltd., Yamanashi Prefecture, has employed this new can for its wines. The company compared the usual glass wine bottles to the New Bottle Can; it evaluated the can's features, i.e. 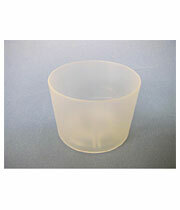 lightness, non-breakable composition, excellent design, protection of the contents including UV blocking, etc., in addition to the convenience and novelty the drinking cup offers. The wines in the New Bottle Can will be sold mainly by Nippon Restaurant Enterprise Co., Ltd. on JR-East's (East Japan Railway Company) Shinkansen bullet trains and other express trains and in restaurants inside train stations, and by Monde Distilleries at its own stores. Sales outlets will increase thereafter. A new style of wine inclusion will be established, on leisure jaunts, business trips, outdoor activities, etc., during which consumers can easily enjoy premium wines. Daiwa Can hopes to expand sales of the New Bottle Can designed for wines into the global marketplace, and it will maintain development to increase customer product value worldwide. Daiwa Can will continue its research and development every day and propose new cans to satisfy its global customers' needs.